Must-read for professionals dealing with SDI and spatial enablement. Spatial data identifies the geographic location of natural and constructed features and boundaries on Earth, and has become increasingly important in various administrative practices. In order to facilitate access, use, and sharing of spatial data among organisations, information is brought together in clustered initiatives known as Spatial Data Infrastructures (SDIs). 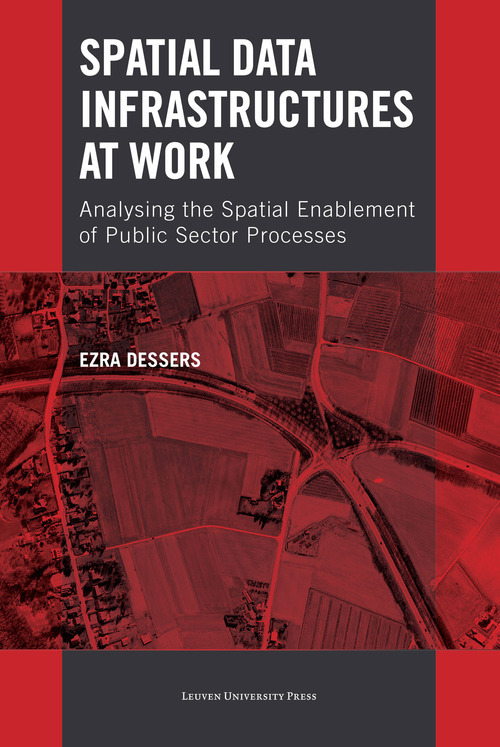 In Spatial Data Infrastructures at Work, Ezra Dessers introduces spatial enablement as a key concept to describe the realisation of SDI objectives in the context of individual public sector processes. Drawing on four years of research, Dessers argues that it has become essential, even unavoidable, to manage and (re)design inter-organisational process chains in order to further advance the role of SDIs as an enabling platform for a spatially enabled society. Detailed case studies illustrate that the process he describes is the setting in which one can see the SDI at work. This book is must-read material for academics, practitioners, and policymakers dealing with sdi and spatial enablement. By extension, the book will also be of great interest to anyone confronted with societal issues that call for an integrated approach, implying in-depth cooperation between multiple organisations.